There is little coordination among natural systems planning, land use planning, transportation planning, public facilities planning and other types of planning. 12.L. 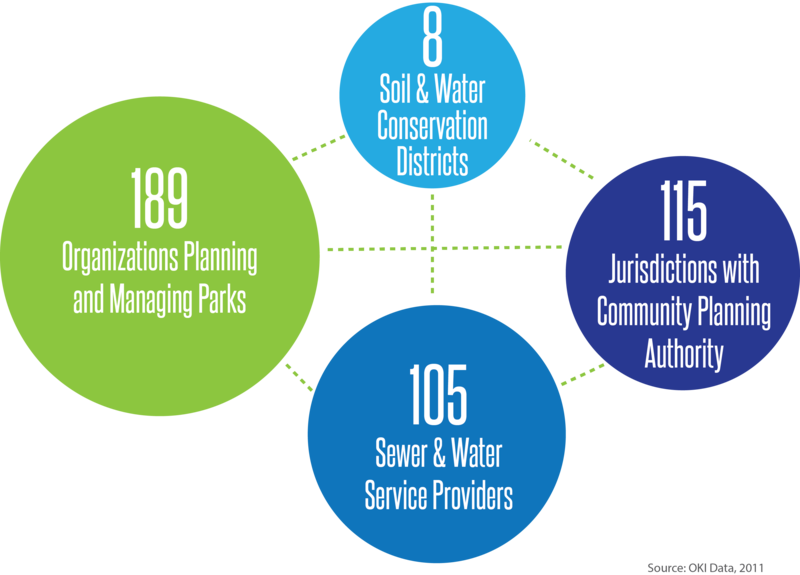 Each local government should have an up-to-date comprehensive plan that links natural systems, recreation, public facilities, public health, land use, transportation, economic development, housing, intergovernmental coordination and capital budgeting. 12.L.2. Local governments should enable the use of environmentally sensitive building practices to integrate growth with protection of the region’s natural systems. 12.L.3. OKI will develop regional green infrastructure strategies by working with local governments, agencies and institutions, the private sector, conservation districts, state agencies, and non-profit interest groups.